Ever Wanted To Know How To Restore A Leather Couch? Leather couches are sturdy and generally last the test of time. That said, leather sofas suffer wear and tear just like any piece of furniture. The good news is, there are many ways you can breathe new life into an old piece of furniture. Want to know how to restore a leather couch? We’ll tell you. Before getting into the ins and outs of how to restore a leather couch, be aware of the basic cleaning techniques you can do to avoid damage in the first place. Prevention is better than cure, after all! Leather couches can scratch easily. To avoid damage, consider vacuuming your leather sofa with a soft brush attachment rather than wiping across the surfaces. By doing so, you remove crumbs and debris without scratching your piece of furniture. Clean your couch with soft leather cleaner. Don’t use a microfibre cloth that may scratch your leather; instead use a soft cloth to clean your leather couch. Do not use harsh chemicals or vinegar on your leather couch. How do I fix leather fading and discolouration? No matter how well you care for your couch, time will take its toll. One of the most common issues with damage to your couch is fading and discolouration from the sun. Fading furniture is not something you can avoid, particularly if your couch sits under a window. You can buy furniture leather dye pigments from us, but you do need to be aware of the dyes or tint colours that would work best on your couch. All you need to do is send us in a small leather sample (this can be found on the bottom of your lounge) and we can provide you with the correct colour. Before you jump the gun, speak to the experts. Call on your local furniture upholstery business, who will tell you how to restore a leather couch, using the best method for your specific item of furniture. How do I remove stains from leather couches? Don’t reach for home cleaning liquids. Bottles of cleaning liquids often contain harsh chemicals that are no good for your expensive leather couch. A lot of cleaning liquids contain bleach, too. If you use bleach products on your sofa, you risk blotchy, uneven results. Do use a gentle cleaner. Better yet, you can purchase specially designed leather cleaners and conditioners from us! Don’t use an abrasive brush. 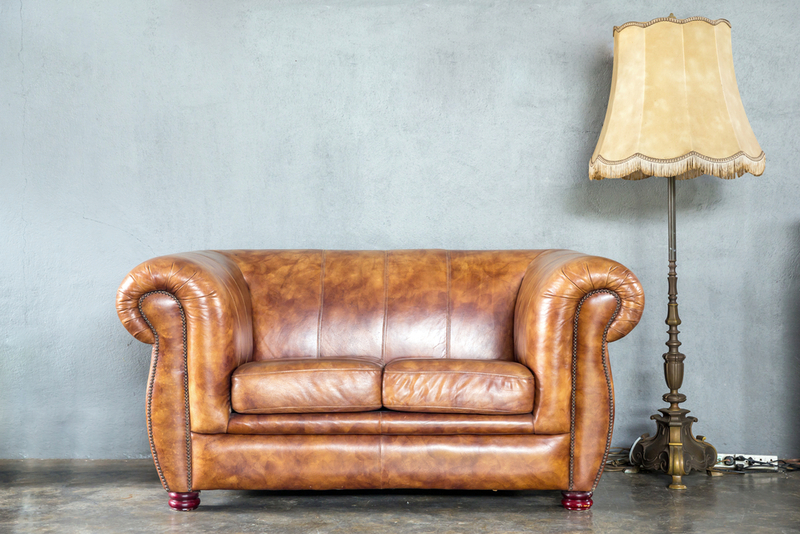 If you want to know how to restore a leather couch correctly, say no to a bristle brush. Stains might be tricky to remove, but if you rub it with an abrasive brush, you will damage and scratch your leather, which is just another issue to rectify. Do patch test first. You don’t want your attempted restoration to be worse than the actual stain. Whatever you decide to use to remove a stain from your leather couch, make sure you trial a small patch first to ensure you’ve chosen the right method. How to restore a leather couch with scratches? Scratches on leather happen for a number of reasons. As mentioned before, if you’ve used bristle brushes or microfibre cloth to clean your furniture, you may see scratches as a result. If you’ve got a pet, he or she may have clawed the couch, even without meaning to. Then, of course, there’s just general wear and tear, when scratches on leather appear over time for various reasons. If scratches on your leather couch are small enough, you can fix them up yourself using leather conditioner, apply it with a soft clean white cloth and rub it into the scratch. Clean the excess conditioner off with a soft clean cloth and see how it looks. #2 Call in the mobile upholstery repair professionals. If your leather couch looks scratched, battered and bruised, and you care about it enough to want a clean, professional finish, don’t even attempt to restore it yourself. Mobile upholstery repair professionals can travel to your home and breathe a new life into your scratched leather upholstery. Depending on the severity of your couch disrepair, upholstery professionals are trained to fix up your furniture using the best and most economical methods in the comfort of your own home. Otherwise, your couch will be collected and repaired in a workshop environment, delivered back to you almost as new. How do I repair rips and tears in a leather couch? Want to know how to restore a leather couch with rips? Restitching and leather repair isn’t something you can do yourself, but a mobile upholstery repair technician can come to your home and restore your couch for you. Panel replacement. Did you know, you don’t actually need to have your couch reupholstered if your cushion has a tear? A trained technician will be able to replace the ripped panel with a new one, which saves time and money. An exact match of the leather and thread colour will be used to suit your existing couch colour. Entire upholster. Although most repairs can be carried out in your home, leather couches with extensive tears or rips can be completely reupholstered if necessary. Choose a service that offers pick-up and delivery to make things easier on yourself. Now you know how to restore a leather couch, you don’t need to throw it out with the hard rubbish. Bring your leather couch back to life by repairing damages – a far more affordable alternative to a complete furniture replacement. Need help to figure out how to restore a leather couch? Call Lounge Repair Guys on 1300 101 510 for a free quote, or simply contact us online.